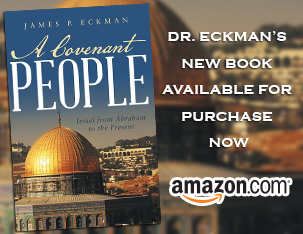 We continue discussing Solomon’s perspective on work & labor, with excellent commentary from Dr. Eckman on our society’s tendency of valuing our work over our position in Christ. If you read the words of Kohelet (the author of Ecclesiastes) in some modern translations you will find that the endless repetition of the word ?meaningless? is like Chinese water torture. Work is meaningless, pleasure is meaningless, money is meaningless, life is meaningless, wisdom is meaningless and even death is meaningless. At one point Kohelet tells us he tried to cheer himself up with wine and you understand why he had to plant many vineyards to satisfy his needs. With all this ?meaningless? talk its no wonder that the book has been written off as the depressed rant of a bitter old man. The word translated as ?meaningless? in recent translations is used 38 times in Kohelet?s short thesis but older translations used words such as ?vanity? or ?futile?. I have been told that it doesn?t make a difference which word you use but I would beg to differ. ?Futile? relates to a failure to reach a destination or goal but ?meaningless? tells us there is no reason to attempt to do anything at all. For example, lets say you are three weeks into a 6 month project and your employer looks over your preliminary report and says, ?You won?t get the results you want if you keep going that direction. All your effort will be an exercise in futility.? You might be upset but in the end the evaluation will save you a lot of time and energy. But if he just growls at you, ?All your work is meaningless; completely and utterly meaningless,? before leaving the room, you might go online and look for a new job. There would be no reason to keep working on the project. Futile and meaningless are not the same thing. The word translated as ?meaningless? in newer translations is the Hebrew word ?hebel?. It is spoken with a soft ?h? and ?b? which makes it sound breathy. When spoken aloud it sounds likes it?s meaning, for ?hebel? simply means ?wind?, ?breath? or ?vapor.? The little word is further defined by the illustration Kohelet uses throughout the book. Futility, he says, is like ?chasing after the wind.? This phrase conveys the idea of trying to control something that is impossible to grasp. It?s like a person trying to make a breeze to blow across the hammock he has strung up in the shade but the wind refuses to cooperate. In desperation he runs around the yard, flapping his arms and pushing the wind towards his hammock. Finally he sprints for the hammock and lies down, expecting to experience the rewards of his labor. The word ?hebel? is normally translated by words that reflect the temporary nature of wind, breath or vapor. When you breathe outside on a cold day you see your breath in a form of a vapor cloud. The mist we see has substance but it cannot be grasped. It is there and then it is gone. This is the thought behind Psalm 144:4 ?Man is like a breath (hebel); his days are like a fleeting shadow.? Oddly enough, when the modern translations work with ?hebel? outside of Ecclesiastes they use English words such as transient, fleeting, perplexing, fruitless, unbeneficial, profitless and futile. All of these accurately portray the transitory nature of wind, breath or vapor and fit with ?chasing after the wind?. Yet within the confines of Ecclesiastes they exclusively used the word ?meaningless?. So why were the words more consistent with the concept of ?hebel? abandoned for one that isn?t? Quite simply, the modern translations are a product of their times. Translation is not done in a vacuum but within the mindset of the person(s) doing the translation work. In the last few hundred years the prevalent attitude toward Ecclesiastes has been that it is a nihilistic book which describes a life lived apart from God (under the sun, not the Son) and that its only purpose is to show us how meaningless life without God is. After hundreds of years of this type of interpretation, modern translators naturally thought the word ?meaningless? fit the theme of the book the best. Unfortunately, that choice put a final nail in Kohelet?s coffin and Ecclesiastes, for all intensive purposes, has become ?the lost book of the Bible.? It is good for a few quotes to hang on the wall but other than that, no one really reads it for what it is worth. Log in | 37 queries. 0.229 seconds.